Hanna Winter Resort aims to provide everything Boy Scouts and Venturers need to have an incredible outdoor winter experience. Enjoy the pristine winter northwoods environment around the Hanna Venture Base and the freedom to do nearly any winter activity you want whenever you want. Registration includes a bunk in one of our many heated cabins, indoor showers and restrooms as well as four meals prepared for you. 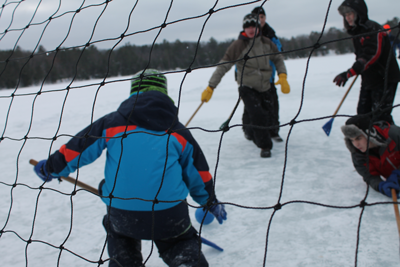 Between meals campers can use our snowshoes, broomball equipment, ice fishing gear, and use the indoor climbing wall. You can also arrange to build a snow shelter and sleep in it over night. 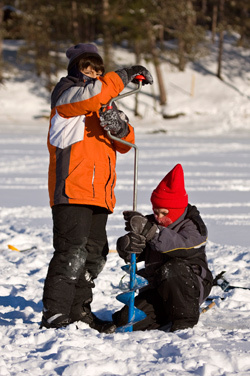 Polar Cubs is a unique winter program for Cub Scouts and their families. Campers are grouped into “Super Dens” keeping those from the same pack together. Super Dens rotate through various activities led by staff members. 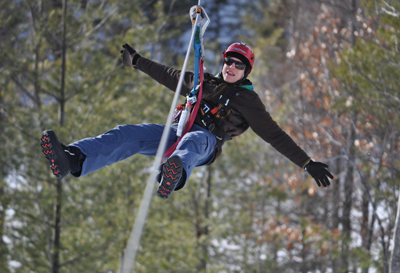 The program focuses on outdoor winter adventure. Registration includes a bunk in one of our many heated cabins, indoor showers and restrooms as well as two or three meals prepared for you. Campers have the option of a Friday night or Saturday night stay.